The Central Council for Research in Yoga & Naturopathy comes under Ministry of Health and Family Welfare, Government of India. The council provides grant-in-aid to various Yoga & Naturopathy Institutes throughout India. Walk in Interview will be held to engage one Consultant (Yoga) at Central Council for Research in Yoga & Naturopathy, Janakpuri, New Delhi which is purely on temporary and contractual basis for a period of Six Months. · BNYS degree awarded by Govt. Board / recognized university or Diploma in Naturopathy of minimum 4 years duration. Working experience in well established / reputed Yoga and Naturopathy Centre/Hospital. Working experience preferably in a Naturopathy /Yoga Hospital/Centre. 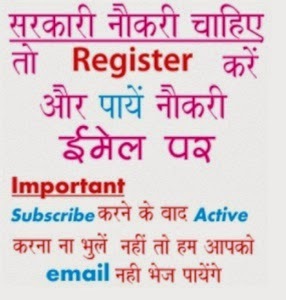 Recently department issues Admin Accounts Officer Job, guys you can check latest updates for the same in this page. The interested and eligible candidates have to submit prescribed application at the address mentioned above.